Provident Fund (PF) or the Employee Provident Fund (EPF) is the monetary benefit you receive during retirement. All salaried employees who are a resident of India are eligible for receiving this benefit. Under this scheme, a portion of the employee’s salary is deducted and secured in the PF account. Any organization with more than 20 employees are liable to register in a Provident Fund Act. This money is altogether given to the employee when he/she retires. The amount that can be deducted from the salary is decided by the government (12%). Apart from the salary deduction, the employer also pays the equal amount to their employees PF account. An EPF is a type of provident fund run by the EPFO (Employees’ Provident Fund Organization) under the Government of India. This scheme aims at providing retirement benefits and social security to the salaried employees of India. In this type of PF, an employee contributes a portion of their salary each month to their employer on a regular basis. The employer after adding their contribution, transfer the money to your PF account. You can opt to use the amount in your PF account to avail a loan or save it for post-retirement expenses. Unlike a PF account, you do not need to depend on your employer to save money for your retirement. You can voluntarily save money by your own like other saving instruments. However, the benefits of investing in a PPF account is higher than that of the usual savings schemes. 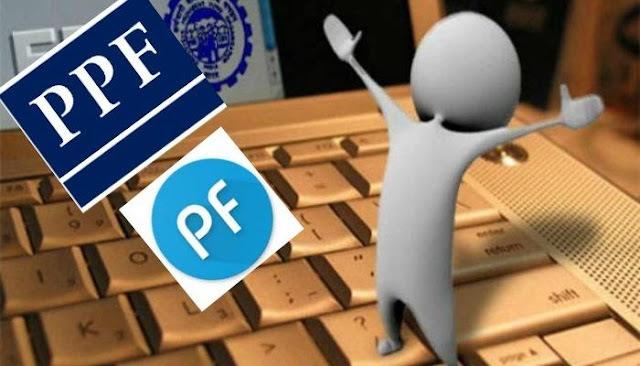 PPF is issued under the Public Provident Fund Act 1968. In the PPF scheme, any Indian citizen and their children can contribute to the account. Also, the individual need not be a salaried person to open a PPF account. Under Section 80C you can get tax benefits. Even, you can get a high annual interest rate from PPF saving. Statutory Provident Fund (SPF) is a savings scheme for the government or semi-government employees of educational institutions like school and universities. A tax deduction is offered under Section 80C. Those provident funds that are not recognized by the Commissioner of Income Tax are known as an Unrecognized Provident Fund (URPF). Employers and employees build these schemes. URPF is not exempted from tax under Section 80C. It is payable during the time of retirement. In case of death, it will be paid to the direct heir. It is payable after 15 years. This period can be extended to 5 years after the maturity. From a PF and a PPF, the best choice would be to invest in a Provident Fund as you can share the amount you invest with your employer. Also, a PF/EPF offers higher interest rates compared to a PPF account (8.55%). The government determines the interest rate and the returns provided by a PF account. Apart from this, if you wish for a stable investment with higher yields than PF, you can opt for an FD (Fixed Deposit). Leading NBFCs (Non-Banking Financial Companies) with CRISIL’s FAAA and ICRA’s MAAA stable rating offers FD with the highest interest rates in India.